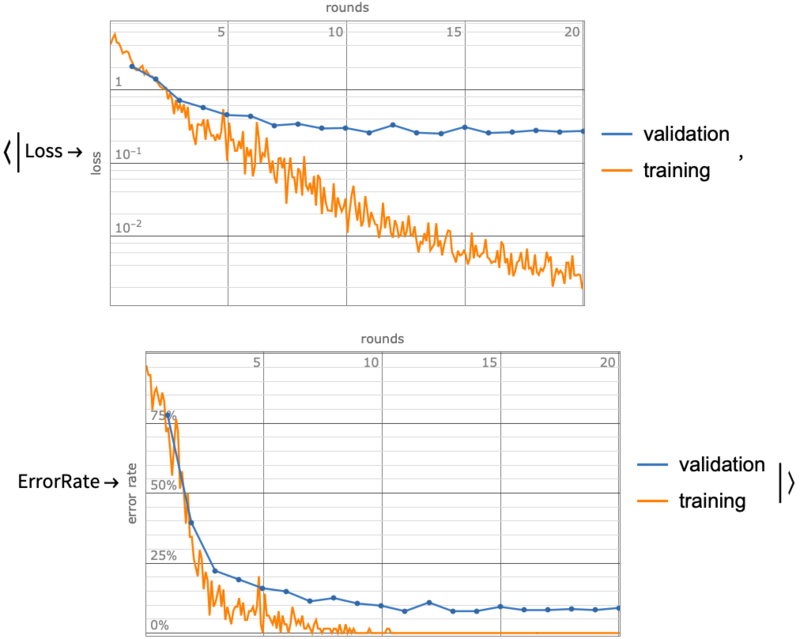 represents an object generated by NetTrain that contains the trained net and other information about the training process. 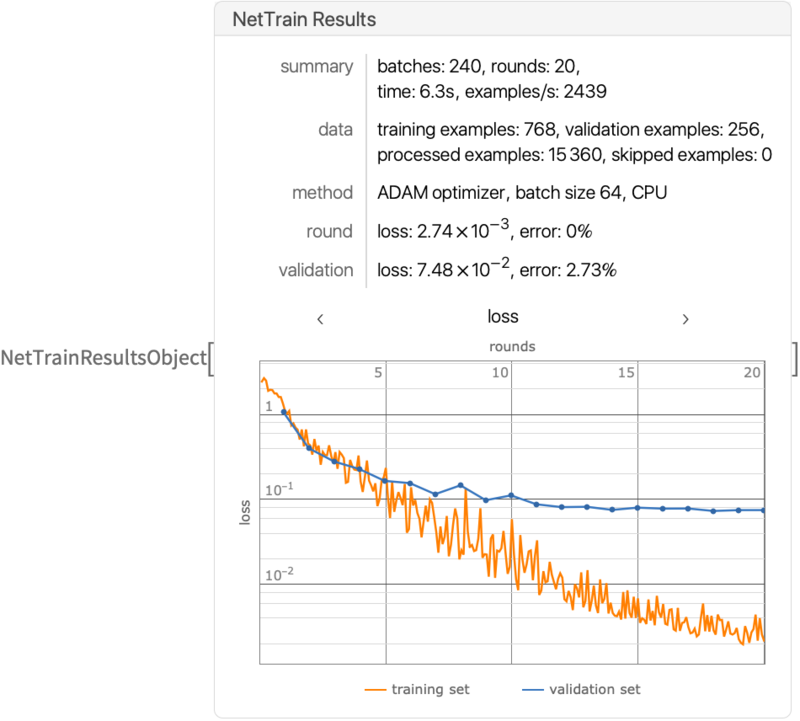 NetTrain[net,data,All] will generate a NetTrainResultsObject[…]. NetTrainResultsObject[…][prop] is used to look up property prop from the NetTrainResultsObject.